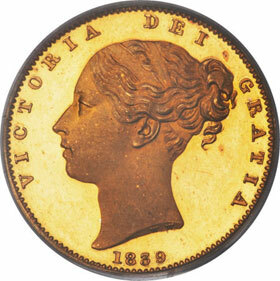 During the year there are several coin shows in the United States that are dedicated to foreign coins. One of these is the Chicago International Coin Fair, held around this time of year in Rosemont, Illinois at the Crowne Plaza. Attended by approximately 100 dealers from around the world, the show is generally somewhat lower-key than the New York International Coin Show, held every year in January at the Waldorf-Astoria. With coins from around the world for sale, an auction held by Heritage Auctions offering many rare numismatic items (see our other articles elsewhere on this website), and informative speeches held on a variety of subjects, this is a show that has always been held in high regard with collectors of world coins. That said, your author made the trek from California to Rosemont expecting an active bourse floor, but getting there was easier said than done. Due to bad weather in the area (numerous tornadoes touched down about an hour east of Chicago on Thursday night plenty of flights were cancelled, and getting to the hotel where the show was held took some creative arrangements that involved planes, trains and automobiles. When I finally arrived at the show about four hours after dealers were let into the show it seemed that many others had similar problems, and a large number of tables remained unattended during the rest of the day. The show opened to the public on Friday morning, and slowly people came in. Attendance, however, appeared to be down from previous years, and a common complaint that was heard from many dealers was the lack of attendance from the public, as well as a lack of choice, original, and fresh coins on the floor. While your author does not know the reasons for the latter, the former can perhaps be explained by the World’s Fair of Money, held across the street at the Convention Center during the last few years, and again this August. If a collector is to fly in for a show, one with 1000 tables (or so) will often have the preference over a smaller show like CICF with about 100 tables. This might explain the relative low attendance, with only a small number of collectors specifically flying in for the show. Of course the weather might also have been a reason, but the weather was fine on Saturday, and foot traffic was still low. The dealers that were in attendance carried a wide number of items, ranging from high-end certified coins that are among the finest known of their respective types as well as buckets with cheap coins for beginners and youngsters. Several auction companies (including several from Europe) were in attendance accepting consignments for future auctions, and the grading companies were represented by the attendance of the Numismatic Guaranty Corporation, which accepted submissions to take back to the office in Florida. Rumor at the show was that the show for next year has not yet been scheduled, and it is still up in the air if the show will be organized next year (the same applies to the Chicago Paper Money Expo, held in the same room a few weeks before CICF). It would be a shame if it does not, as that leaves only the New York International Show as a dedicated world coin show held in the United States. While a large number of world coins are generally available at the larger shows, a dedicated show provides the opportunity for collectors to meet other specialists, and to attend lectures and seminars about obscure areas of numismatics that may not be as well known as other collecting fields.